After an audit by Jakim Malaysia the Punjab Halal Development Agency (PHDA) is now registered as a recognised national Halal certification body for Pakistan on their list of international Halal certifiers. PHDA Halal certification nationally, complying with the criteria of Malaysia’s Halal Standards, will now be acknowledged by Jakim Malaysia. Speaking about this honour, Chairman Punjab Halal Development Agency Justice Khalil-ur-Rehman Khan has said that it’s a landmark achievement for Pakistan. He further said that this is an opportune time for Halal product exporters to use the PHDA Halal certification on their products to help market them round the globe because this recognition by Malaysia is acknowledged world-wide. He said that now is the time to boost up the Pakistan economy through exporting surplus Halal products available in Pakistan. 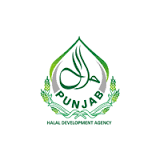 He also thanked the Malaysian authorities and government who appointed Punjab Halal Development Agency as a recognised National Halal Certification Body in Pakistan.